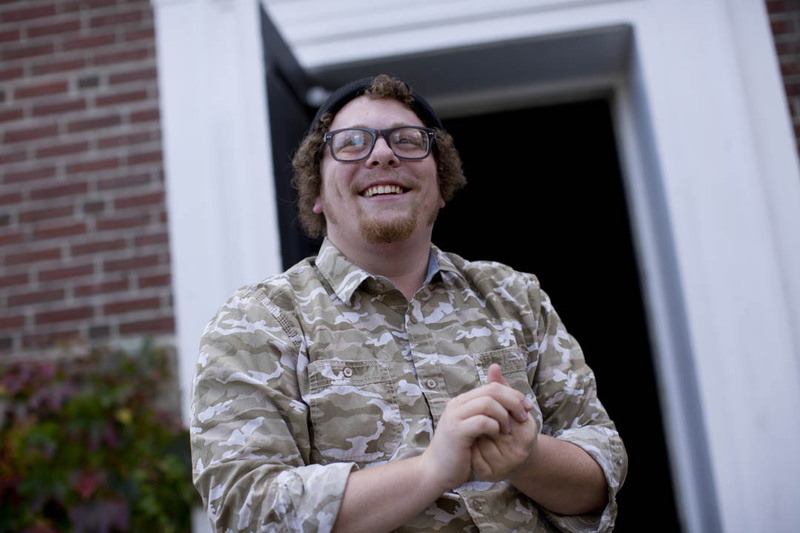 Richard Maxwell’s play Boxing 2000, directed by Jonathan Schwolsky ’15 of North Caldwell, N.J., will be performed at 7:30 p.m. Friday through Sunday, Nov. 14-16, in Gannett Theater, 305 College St. The play is open to the public at no cost, and tickets are available online through Bates Tickets or by calling 207-7786-6161. In Boxing 2000, a young man, Freddie (Will Dunbar ’15 of Greenville, S.C.), pursues underground boxing with the help of his older brother JoJo (Alex Moscovitz ’16 of South Hadley, Mass.). Directing the play as part of his senior thesis project, Schwolsky says the experience is an opportunity to collaborate and experiment. 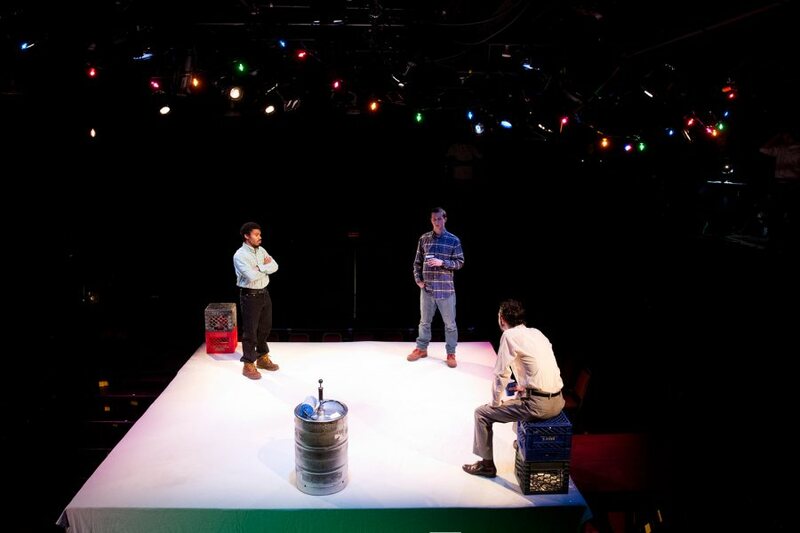 The play uses boxing culture as the framework for a discussion about masculinity and community. As director, Schwolsky sought actors who would bring in their own ideas about the play. “The director is not the one in charge, but the one with the vision,” he says. Schwolsky also feels a personal connection to the boxing culture in the play, a culture he says is very much present in his part of New Jersey. To prepare for the production, he attended an amateur boxing match and talked with people in the Boonton, N.J., boxing community. Last spring, Schwolsky read 14 plays by Maxwell to prepare for his thesis. He was drawn to the colloquial language and universal message in Boxing 2000. Maxwell himself directed the original production of the play with the goal of mimicking reality as closely as possible. His actors spoke simple, often mundane dialogue in monotone. As he directs the play, Schwolsky hopes to take inspiration from Maxwell’s vision and expand upon it with his personal vision. He collaborated with professional set designer Simon Harding to design the unusual two-tiered set. The audience will sit around and look up at a 5-foot-tall square platform in the center of the theater, where the action will take place.